1. 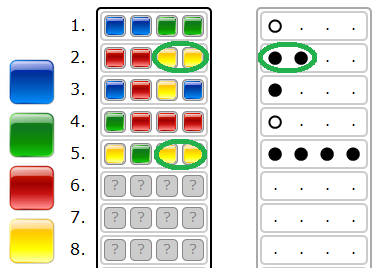 Each guess is made by placing a row of colours on the board. 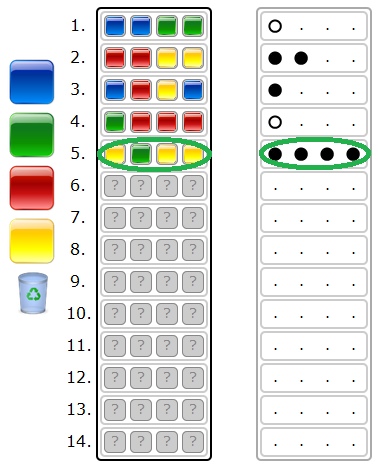 Once placed, feedback will be provided by placing pegs in the left board of the row with the guess. 2. 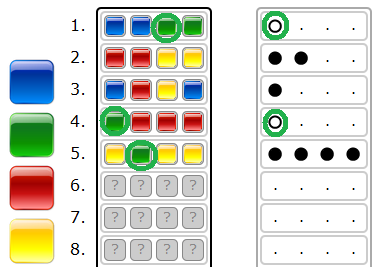 A black key peg is placed for each colour from the guess which is correct in both color and position. 3. A white key peg indicates the existence of a correct colour placed in the wrong position.